Fly larvae do not have legs, but may have prolegs on the thorax and/or abdomen. They may or may not have a well-developed head. Figure 8.K: Black fly (Simulidae). 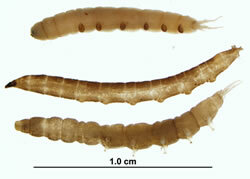 Figure 8.M: Crane fly larvae (Tipulidae). Click here to see an image of a fly larve from BugGuide.net.